I can see Iran from here. We’ve gained some elevation, and I can just make it out over the windblown humps of sand. The Strait of Hormuz, twenty-one rarefied miles of chop and foam, is one of the most congested and strategic maritime passages on Earth. It stands in stark contrast to the empty shores that hem it in. On the other side, there is a desolate stretch of Iranian desert, and over here, the intimidating mountains of Oman’s Musandam Peninsula. 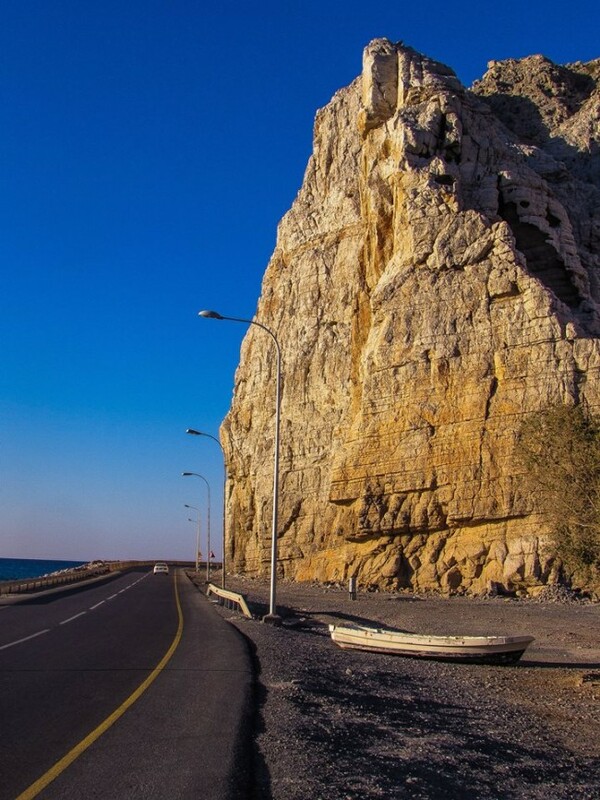 Arabia’s jagged incisor, Musandam bites into the straight, squeezing the Arabian Sea into the Persian Gulf. It is an unforgiving land of peak and crag, a corner of Oman that remains virtually bereft of occupation. The road, however, is pristine. Heading north from a sleepy border crossing, through a series of climbs and curves, the smooth blacktop threads its way along a coastline of stark and shocking beauty. The mountains are skeletal, piled up in sheer stacks, flush against the crashing waves. Occasionally, the walls of rock yield to tiny, sand-encrusted hamlets. These sea-hugging villages host Musandam’s miniscule population, comprised mostly of weather-worn fisherman who spend days dragging small wooden boats above the tide line and tending to their wire nets beneath an unforgiving sun. 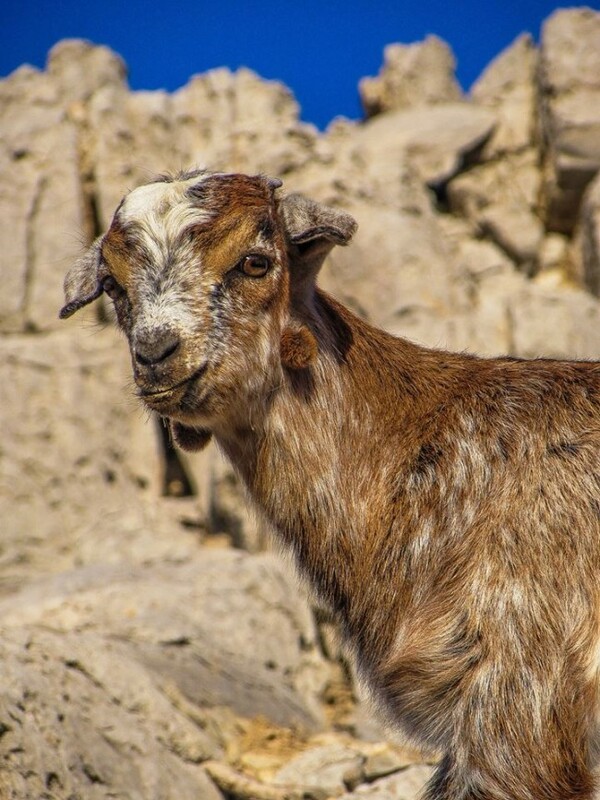 Their only company up the length of the peninsula seem to be packs of goats, confidently striding along impossible ridges on the graze for clutches of sparse and thorny vegetation. Staring blankly out to sea, the perched animals are indifferent to the passage of the hulking tankers sailing by, each one sailing heavy, filled to the brink with oil for Chinese factories and German motor cars. The road slithers north and east to the tip of the peninsula, finally conquering a turtle-shell ridge just before ending abruptly in the town of Khasab. Khasab is the only real town in Musandam. It lollygags in lonely isolation at the edge of the Arabian Peninsula. 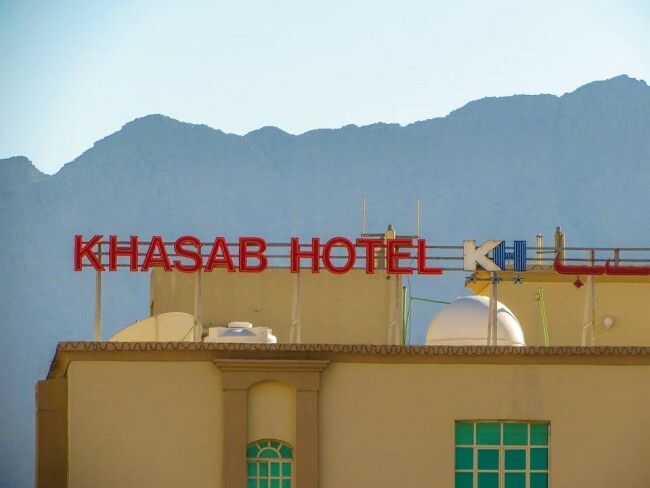 In its insulated, palm-fringed cocoon, Khasab is a world unto itself. Wooden dhows cut a stately wake across the little harbor. Minarets cast totem shadows across stone-paved courtyards. Secretive women, concealed in black, disappear into darkened doorways. Bearded men with white caps slam dominos onto tables. 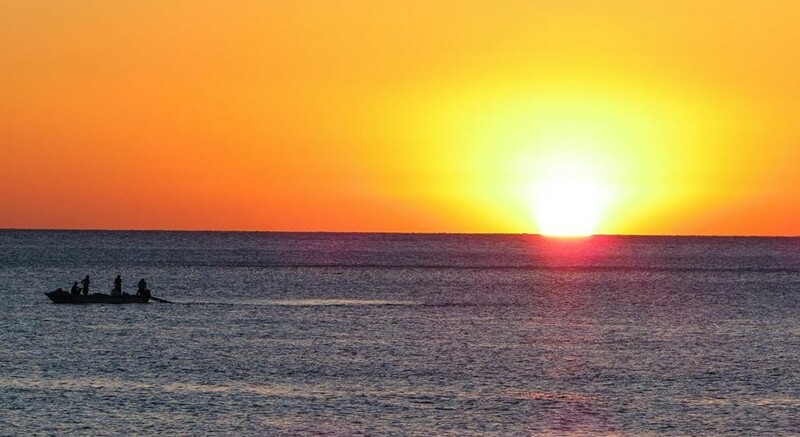 Khasab looks directly upon the Strait of Hormuz. It doesn’t seem to care. Like the cliff-hanging goats, this little town, huddled by the sea, seems to regard those ships as peripheral to its existence. Where they are going and what they are carrying is of no concern. 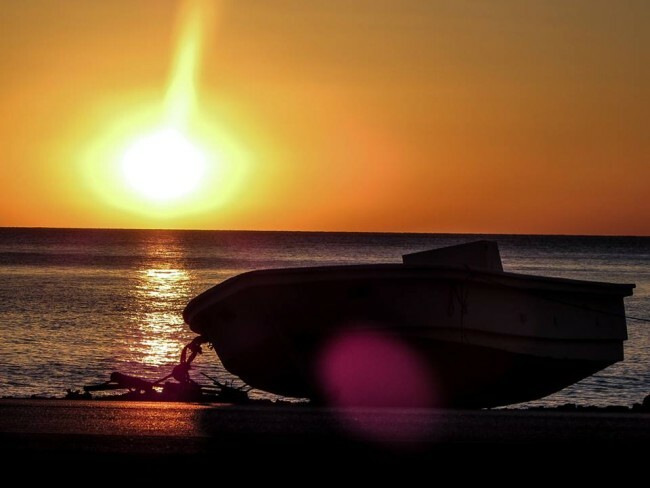 As nations posture and wrestle for control of these critical waters, life on the Musandam Peninsula, like the wooden boats on the waves, rocks along. Chris Watts is a frequent contributor to EthnoTraveler. Alex Freemon is a photographer living in Dubai.